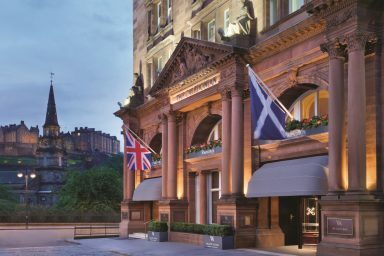 In the shadows of Edinburgh Castle sits one of Scotland’s most historic properties, The Waldorf Astoria Edinburgh – The Caledonian. 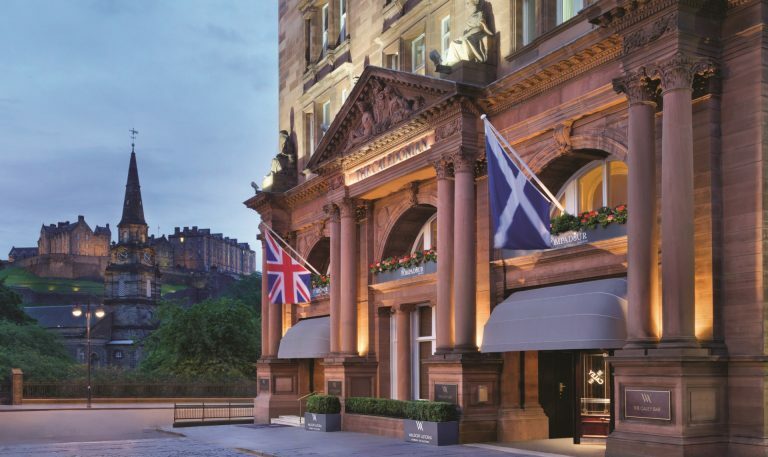 When The Caledonian became a Waldorf Astoria Hotel a few years ago it was huge news in Scotland, and we were thrilled about the extensive updates and major upgrades to the property. While always one of the city’s most historic properties, the standards were all raised, and luxury clients started arriving to experience the property. 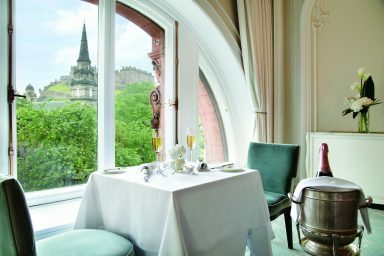 Our clients are most impressed by the incredible location on Princes Street. If you book the right room you are rewarded for one of the best rooms in Scotland as the Castle is so close you feel like you can touch it. I especially appreciate the view at nighttime as the lit up castle at night really is spectacular. From the hotel you can easily walk to the city’s best sites – both in New and Old Towns. Edinburgh is a walking city so location is critical. We love the Alexander Graham Bell Suite, one of the very best suites in Scotland. 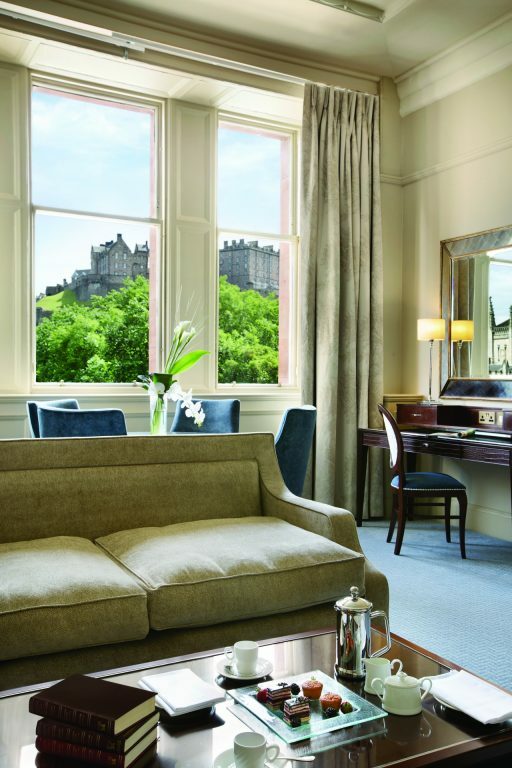 The suite is full of historic touches paying homage to the famous Scotsman who invented the telephone. The sitting area is perfectly decorated in keeping with the destination and is a wonderful room for entertaining. All rooms have exceptional views of the castle as there are huge windows. 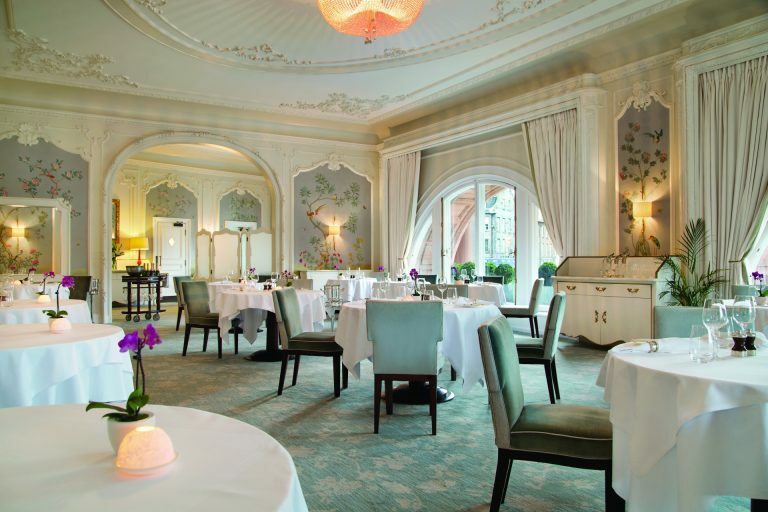 Breakfast is always included at Celebrated Hotels, and the experience here is very special as Celebrated Guests have the opportunity to experience breakfast in Pompadour the fine dining restaurant. Only open for lunch and dinner until recently, it is hard to imagine a more special space to start your day in Edinburgh’s capital. The hotel continues to evolve, and the biggest new update is the plan to upgrade 65 of the hotel’s bathrooms. 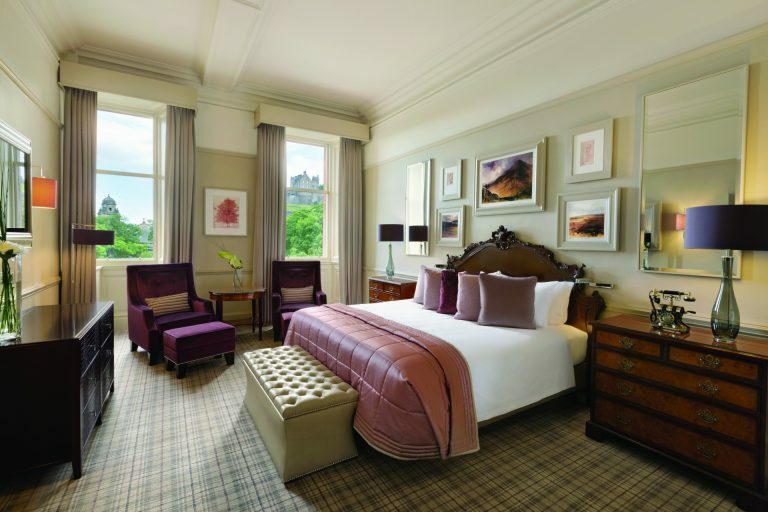 This continues to be a 5-star favorite for families as there are many connecting options and even rooms with two double beds – which are quite rare in Scotland. The hotel team continues to get great feedback. The guest services team is ably led by Dean, and they really go out of their way to take care of our clients. 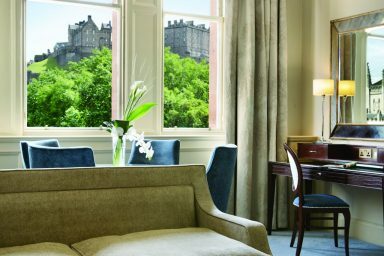 We are so happy that The Waldorf Astoria Edinburgh continues to adapt and evolve!